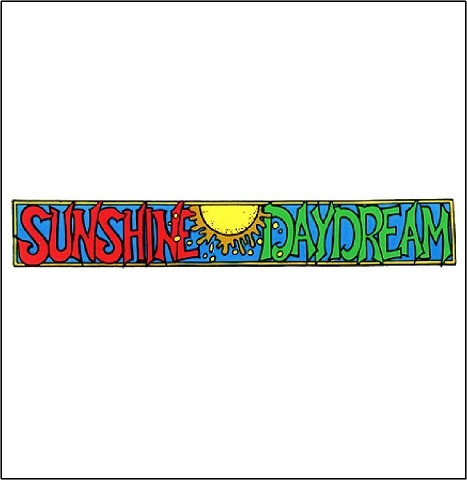 Our signature Sunshine Daydream sticker with a stained glass effect to it. Sticker measures approx. 2" x 12". Love it! Arrived on time and in good conditions! Finally found my decal again! We had a decal like this on the front windshield of our VW Eurovan, and we loved it. When we sold the van, there was no way to save it. We've been looking for one ever since to put on the windshield of our new camper. We were very excited to find it at: where else? Sunshine Daydreams!